Allied Anesthesia's latest post gives thorough answers to critical questions patients have about "going under." Most people are quite familiar with [pre-surgery] instructions, but few patients understand why the rules exist. In this latest post, we give them those reasons. In a move to build awareness and to improve patient outcomes, award-winning medical group Allied Anesthesia has released a collection of answers to patients’ common questions and concerns about general anesthesia. The list, titled “Questions About Having Surgery? We’ve Got Answers!” is published as a blog post on the medical group’s website. According to Canton, the list gives answers that go into much more detail than what a doctor is able to provide during the typical preoperative office visit. It addresses questions related to the most common anesthesia “rules,” such as fasting, refraining from medications and supplements and being required to have a driver. 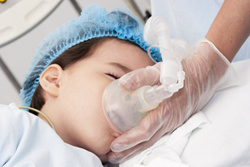 The post also discusses what general anesthesia is, how it is done and how a doctor determines the correct amount of anesthetic to administer to a patient. About Allied Anesthesia: With over 100 highly qualified physician anesthesiologists on staff, Allied Anesthesia provides adult and pediatric anesthesia services to St. Joseph Hospital of Orange, CHOC Children’s Hospital, St. Jude Medical Center in Fullerton, Calif., San Antonio Community Hospital in Upland, St. Mary’s Hospital in Apple Valley and many other Southern California health care facilities. In 2014, Allied Anesthesia joined with Fullerton Anesthesia Associates and Upland Anesthesia Medical Group to consolidate best practices in more than six hospitals and in more than a dozen ambulatory surgery centers. The expanded medical practice is dedicated to offering the highest comprehensive quality of care and the most cost-effective procedures in all of the facilities they serve. All Allied physician anesthesiologists are board certified in anesthesiology, and they staff and manage the most efficient operating rooms in Southern California. Allied is a member of the California Society of Anesthesiologists, the American Society of Anesthesiologists and the Anesthesia Quality Institute. For more information, visit http://www.alliedanesthesia.com.